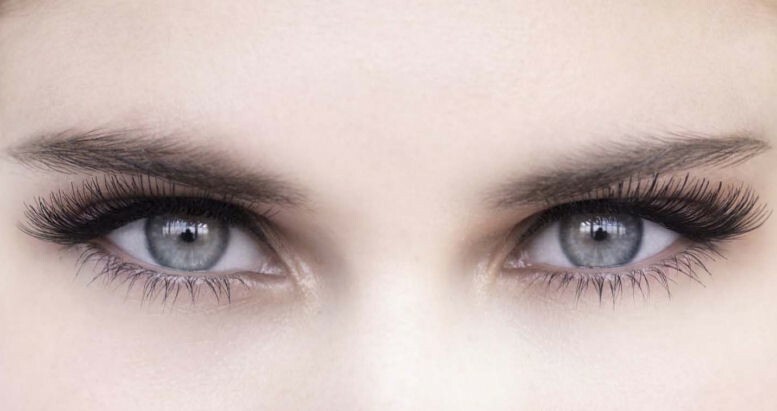 This offer comprises a choice of either Monthly or Daily Contact Lenses. Option A - monthly lenses. 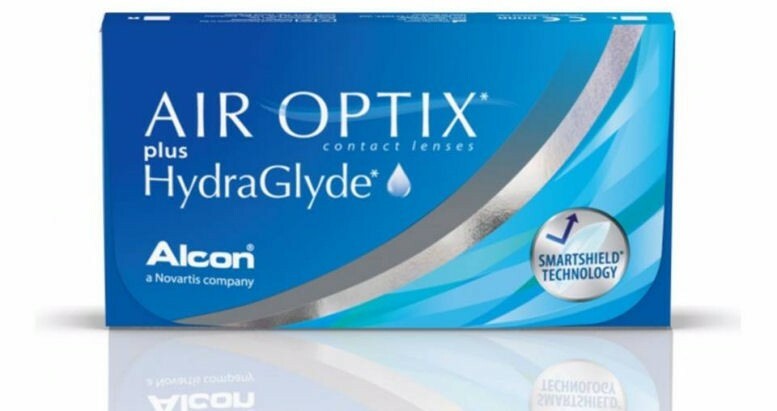 Air Optix Plus HydraGlyde, a new monthly contact lens with the latest technology to keep your eyes feeling fresh. The unique HydraGlyde Moisture Matrix keeps the lenses moisturised using the same solution used in the Opti-free PureMoist contact lens solution you already know and love. These advanced lenses are also made with Alcon’s SmartShield technology which prevents the build up of lipid deposits and protects your clarity of vision. The Air Optix Plus HydraGlyde lenses keep your eyes consistently hydrated and comfortable on long days with an ultra-thin protective layer and exclusive moisture technology. 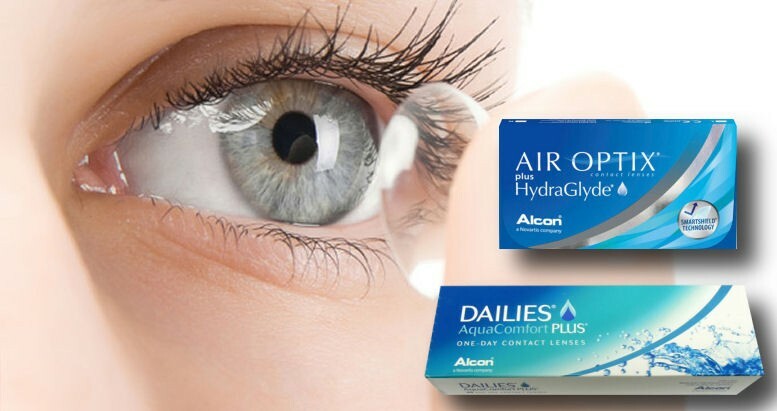 These high quality silicone hydrogel contact lenses are available in a wide range of prescriptions and can be a solution for those who have suffered from dry eye. 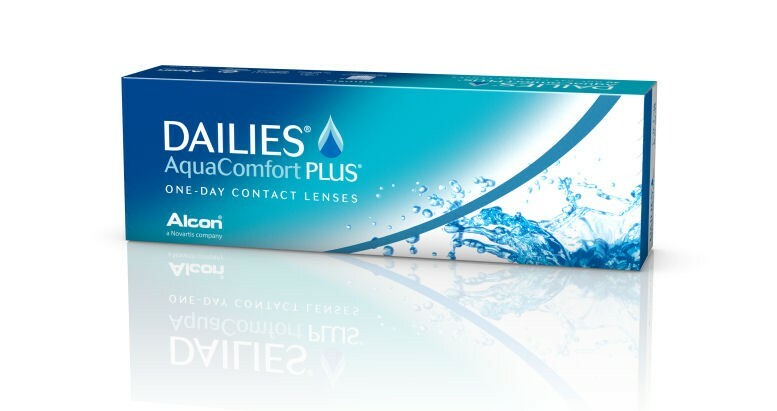 These premium comfort contact lenses usually retail for €25 for a packet of 3 monthly lenses. This great deal includes an extra lens (same prescription) so you get 4 lenses for just €16 including delivery. Option B - daily lenses. Dailies Aquacomfort Plus by Alcon. Box of 30 lenses. These contact lenses are designed to be worn for one day (taken out at night), and then disposed of. They contain triple action moisturisers for increased comfort. If your prescription is the same for each eye then one box of 30 lenses will be enough for 2 weeks (if worn every day). If you have a different prescription in each eye then you need 2 boxes - one of each prescription - and you will have a 1 month supply. This is an ideal solution for people who don't wear contact lenses regularly. They require no cleaning solutions or storage boxes. Contact lenses are also great for playing sport and going out, or just to allow you to wear your favourite sunglasses! If you know your prescription and don't need an eye test or fitting, you can simply order your contact lenses by telephone on 26 221 375 with your voucher code, or by e-mail at vision.care@hotmail.com. 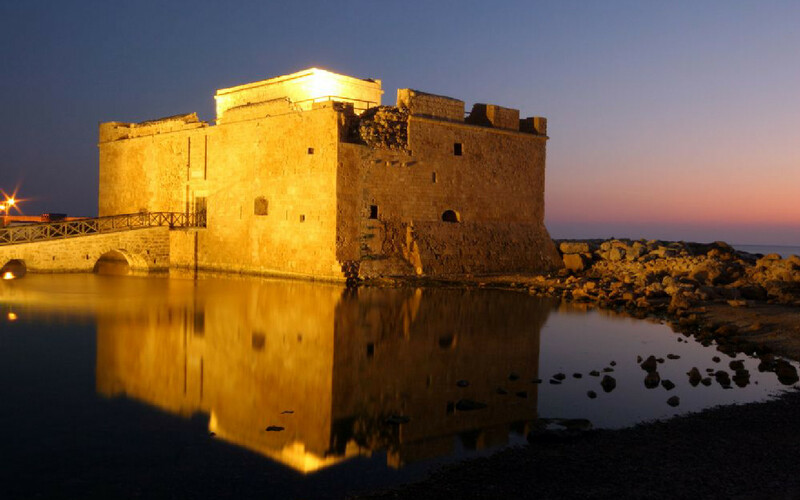 They can be delivered island-wide at no additional cost. The voucher also entitles you to an eye examination, eye-sight test, glaucoma test and contact lens fitting at Eyecontact if required. Just like getting your car tuned-up or checking your teeth, an annual eye exam is important for maintaining clear vision and overall health. It’s particularly important for contact lens wearers, who are at greater risk of developing eye health problems. A comprehensive exam can detect problems with your eyes that you can’t feel or see. Protect your vision through annual exam check-ups. To arrange delivery, call Eyecontact on 26 221 375 with your voucher details. Purchase 4 vouchers or more and receive 300ml cleaning solution FREE!